The rectangular trampoline and will give the best bounce for lighter jumpers and is also more suited for longer gardens. The trampoline will take a maximum user weight of 100kg (16 stone) . 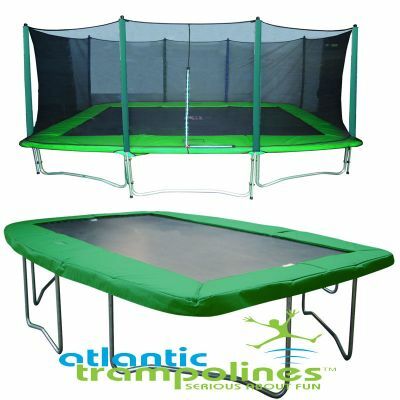 The Atlantic Trampolines 7ftx10ft rectangular Trampoline is one of our newest trampolines. A good quality trampoline will keep trampolinists of all ages happy. 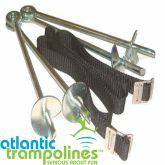 In small and medium sized gardens the 7ftx10ft trampoline does not dominate yet it allows plenty of room for bouncing. The 7ftx10ft Trampoline with Enclosure Package will also be delivered for FREE! 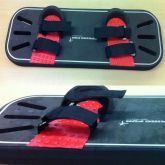 12 month guarantee on springs, padding & jumping mat. We offer FREE next day delivery in the UK and an installation service is available for customers within 20 miles of our Pembroke Dock warehouse.